Circa 1885. 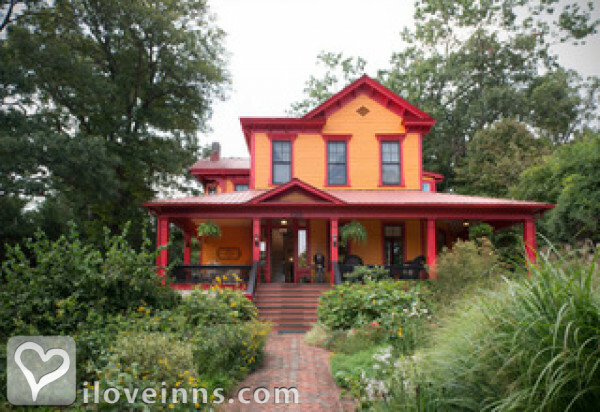 Ancient oak trees surround this Victorian house set on a hill overlooking downtown Asheville. After spending the day exploring the nearby Biltmore Estate and Great Smoky Mountains, you'll welcome returning to your own comfortable home at Hill House. One of the rocking chairs on the veranda that wraps around the house makes a good place to relax and meet other guests. Many guest rooms offer whirlpool baths, fireplaces and views of the garden and mountains. Rooms are individually named and decorated. The Flat Iron Suite boasts a fireplace, clawfoot tub and a small kitchen with stove top, refrigerator and sink. A canopy bed hung with white gauzy drapes highlights the Jackson Room; for something completely different, there is the S & W Room, with a black lacquer bed, African animal prints, and an Oriental carpet atop a hardwood floor. Frittatas, English muffins, coffee cake and fruit can be brought to your room for breakfast. Snacks are served on arrival. Payment Types Accepted Include Master Card, Discover, Visa, Personal Checks and Travelers Checks. This property has 10 total guest accommodations with private bath, 5 with fireplaces, 5 with whirlpools, 4 total suites, including 2 two-bedroom suites and 1 conference room. Two nights on weekends, in most of October, and the last week of the year. Children who don't cry or misbehave are accetped. The grounds are beautiful and the owners go out of their way to treat you right. We would definitely go back for a visit! A wonderful escape from a hectic life, had a joyous visit at this B&B. 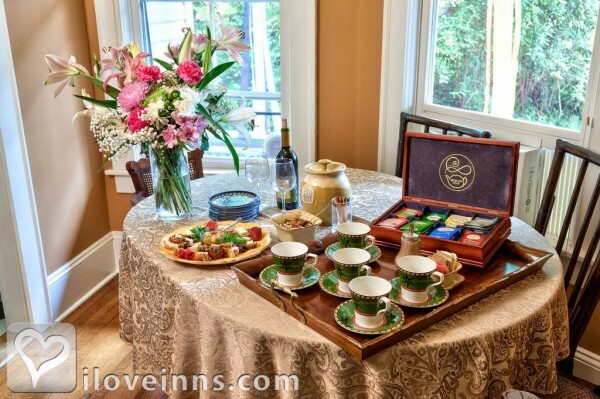 Perfect location to downtown, helpful and devoted innkeepers, and amazing breakfast in such an enjoyable environment. Can't wait to visit again!